Miriam is building a practice in all areas of family law. She joined Chambers after successful completion of her pupillage under the supervision of Henry Clayton, Jacqueline Renton and Cleo Perry. Miriam has gained experience in financial remedies, private and public children law and international law, appearing before various levels of court, including the High Court. 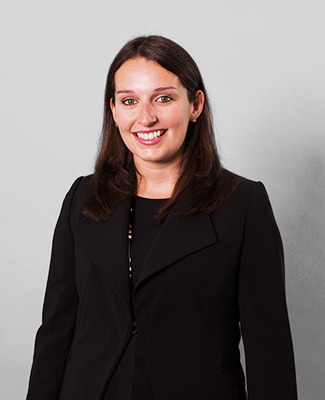 She has assisted in training expert witnesses at the Royal College of Paediatrics and Child Health. Prior to commencing pupillage, Miriam worked as a family law senior paralegal at Stewarts specialising in high net worth financial remedies and private children law. She has also volunteered for family schemes and charities, including the BPP Family Legal Advice Clinic and National Centre for Domestic Violence. Through her work she has gained valuable experience assisting litigants in person and advising parties on matters relating to financial remedies, child arrangements and applications for injunctive relief under the Family Law Act 1996. In her spare time, Miriam can be found travelling, taking photographs and attending concerts and theatre productions.